Opioids are narcotics used in medical care for pain relief and as an anesthetic. Opioids are highly addictive and are therefore considered controlled substances. The addictive nature of opioids has fueled the current opioids crisis. Patients who were prescribed opioids and use them continuously are at high risk for developing a dependence on them. Opioid dependence has led to overdoses and thousands of deaths each year. Pharmaceutical companies marketed opioid medications as treatments for chronic pain, overstating the benefits and minimizing the risk of addiction. These companies assured doctors that there wasn’t a risk of patients becoming dependent on them. However, since the 1990s, there have been rising numbers of opioid addictions and deaths from overdose. This crisis has led to higher rates of HIV and Hepatitis C, causing a public health crisis across the country. If you or a loved one has suffered from an opioids addiction, don’t wait for the justice you deserve. Contact us now for a free consultation and let us help you take on the companies responsible for this health crisis and the opioid dependence of so many patients. Opioids work by binding to the opioid receptors in the body, which are primarily located in the nervous system and in the digestive tract. When opioids bind to the opiate receptors, this sends a signal to release more dopamine. Dopamine is a neurotransmitter, or chemical messenger in the brain, that is involved in the reward and motivation systems of the brain. It releases feelings of pleasure and is what causes the feelings of euphoria associated with opioids. What Are Opioids Used For? Because opioids are so addictive, many patients who have been prescribed opioid medication by their doctor can develop a tolerance for it and even become dependent upon them. Patients require higher doses in order to achieve the same effects, and then can develop symptoms of withdrawal when they stop using the opioids. Many also use opioids recreationally for their euphoric effects. The CDC has confirmed a spike in emergency room visits for recreational use of opioid prescription drugs, which has more than doubled between 2004 and 2008. Opioid use disorder can also lead to an overdose, HIV and/or AIDS, Hepatitis C, and even eventually suicide. Opioid overdose also carries a risk of death - more than 72,000 people died of opioid overdose in 2017 alone. 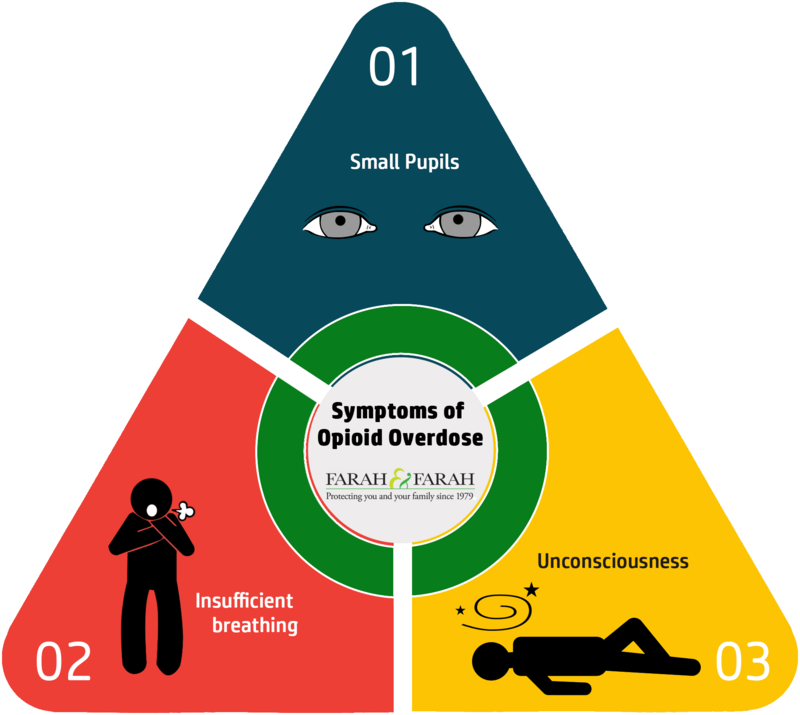 Immediate treatment for opioid overdose is basic life support as quickly as possible, followed by naloxone, which is used to block the effects and symptoms of opioids. Basic life support is the emergency treatment done by trained medical professionals until the person can be transported to a hospital for full medical care. Opioid addiction treatment is long term and can involve a variety of factors, including medical and mental. Treatment seeks to address not only the dependence on opioids but also any factors in the person’s life that may have contributed to the addiction. The overall mental and physical wellbeing of each patient is treated, as no single treatment is guaranteed to work for everyone. The goal of such treatment is to eventually lead to abstinence, but may involve some tapering off of opioids in order to treat withdrawal symptoms. The risk of addiction and ongoing opioid crisis has led to doctors under-prescribing opioids to patients with chronic pain. In some locations, legal restrictions exist to prevent doctors from over-prescribing opioids. This and other lawsuits state that the pharmaceutical companies trivialized the risks of addiction and oversold the benefits of taking opioids to treat chronic pain. An example included OxyTocin, which was marketed as a twelve-hour pain relief drug, despite its manufacturer, Purdue Pharma, knowing that it wouldn’t last that long. Several companies have claimed that the opioid epidemic is not their fault because people are misusing the opioid medication and are taking the pills more than what is prescribed or directed. In contrast, Purdue Pharma admitted wrongdoing and settled out of court in 2017. Many now believe settling to be the best way forward for many of the lawsuits so that the proceeds can be most fairly distributed in the areas that need it and that were worst affected by the opioids crisis. Should I Consider an Opioids Lawsuit? Was my life negatively impacted by the addiction? Did the addiction begin with a prescription for opioid medication? Has the opioid addiction led to an overdose or other medical condition? Pharmaceutical companies may not be the only ones to blame for the opioid epidemic. Some doctors may have over or under-prescribed opioids to the detriment of their patients’ health. If you have been affected by opioid addiction, don’t hesitate to contact Farah & Farah. Our highly trained attorneys specialize in medical cases and can help you determine if you have a case. The consultation is free and you won’t pay anything unless the case is successful. Don’t wait to get the justice you deserve.